Ramadan is upon us and with that comes a few shifts in mindset, behaviours, and eating patterns. Not forgetting preparations for the upcoming Eid celebrations that take place at the end of Ramadan. With so much going on, and many of us working full-time jobs, food delivery services are exactly what those of us who fast will need. 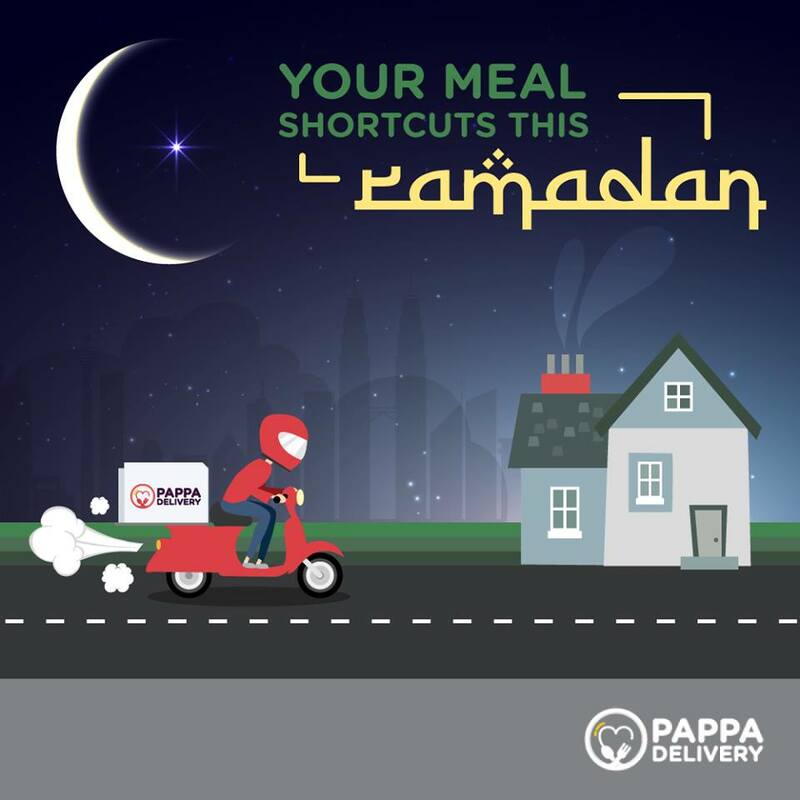 We’re almost halfway through Ramadan and if you’re still struggling to find time to prepare and cook your own dinner, our friends at Compare Hero have found these food delivery services that you can turn to for a fuss-free iftar. Though not specifically full meals, this service offers array of healthy and natural snacks that would be highly beneficial to snack on either during sahur or for supper. 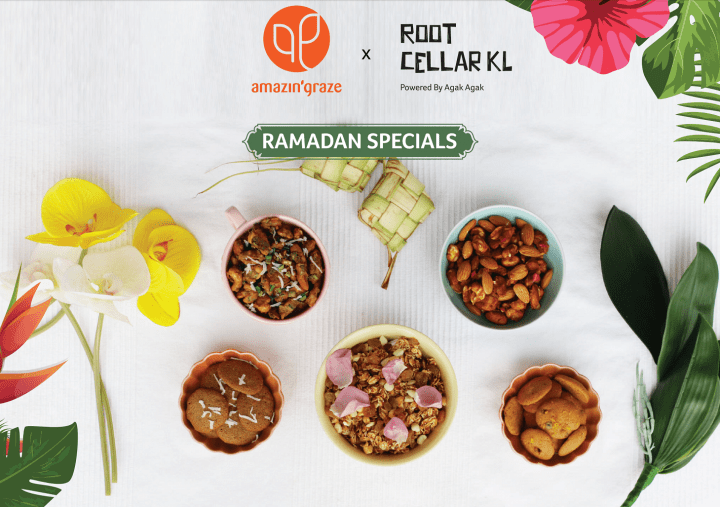 This Ramadan, all Amazin’ Graze and Root Cellar KL (powered by Agak Agak) fans are in for a treat. This year, the two food brands have come together to reclaim traditional Malaysian flavours with a twist. Their Ramadhan Specials range will feature ingredients like gula melaka, pandan, coconut, gingerflower (bunga kantan), rendang and a variety of spices. Even more enticing is the fact that all their specials are 100% natural, vegetarian, contains natural vitamins and minerals, has a low glycemic index (great for those with diabetes), does not contain any refined sugar, and is low in sodium. Delivery charge: West Malaysia: Free for orders above RM50 and within these postcodes. All orders below RM50 or not within those postcodes will be charged a flat fee of RM5.50 per delivery | East Malaysia: Price of shipping depends on weight of of the order. 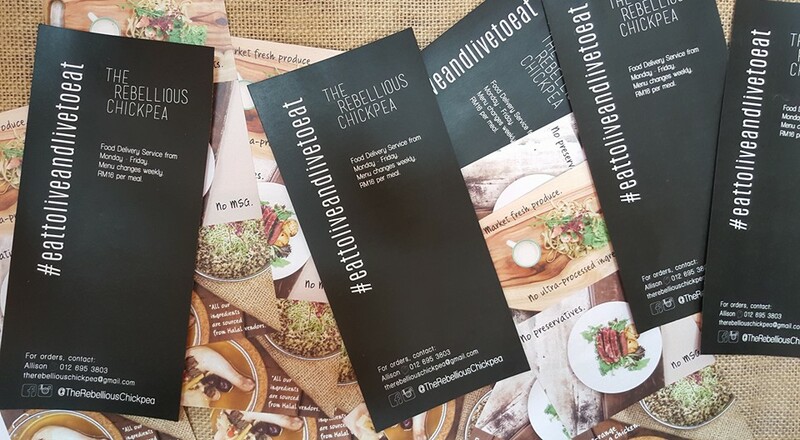 For healthy meal options like Kampung Chicken Braised with Chinese Mushrooms and Brown Rice, Roasted Squash Salad, Beef Kimchi Pie (to name a few), The Rebellious Chickpea is for you. They offer healthy meals that are just as delicious. However, they have a predetermined menu for each day of the week so you will need to look at their menu once it’s released on their Facebook or Instagram page and Whatsapp your order to them before 6pm for next day delivery. Their meals average RM16 each and all the ingredients used in their meals are sourced from Halal vendors. Delivery area: Greater KL. Contact them at [email protected] or on social media to find out if they deliver to your area. Dahmakan should be a familiar name to many of us. 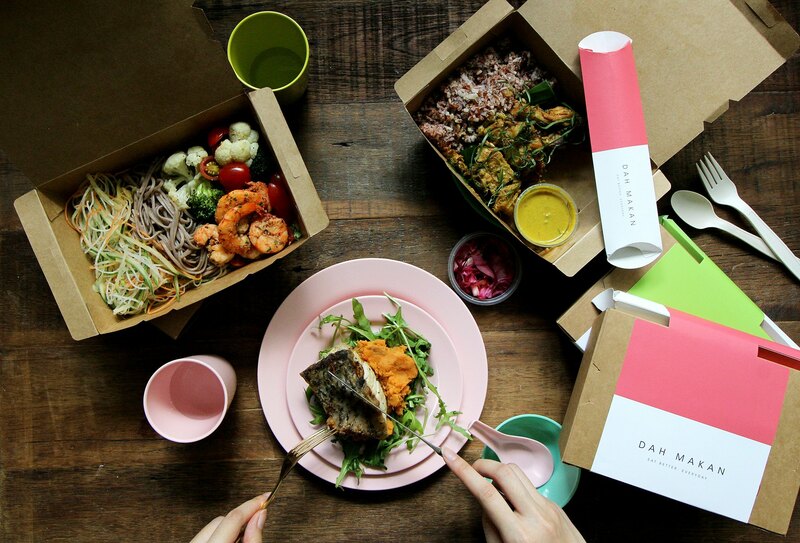 The service provides four meal options for dinner which you can pick from to have delivered to your doorstep. 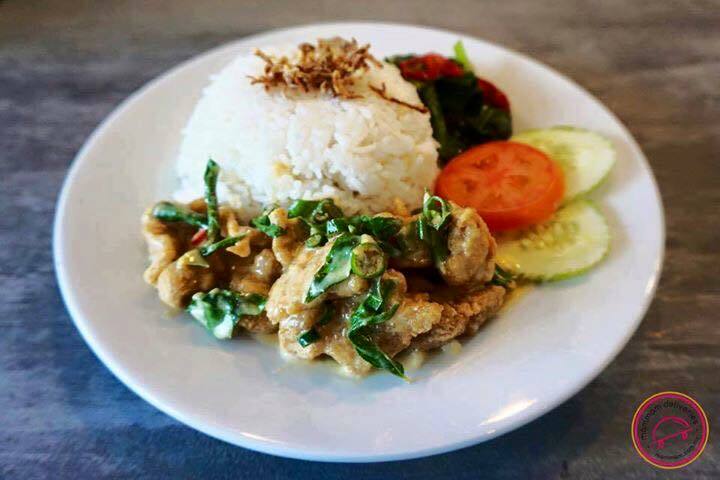 Meals are priced between RM20 and RM23 and you can find delights such as Creamy Chicken Stroganoff, Teriyaki Chicken Thigh, Stuffed Baked Chicken Breast and vegetable options like Palak Paneer. If you want to buy a package with them, it starts from RM99 for 5 meals (RM19.80 per meal), RM379 for 20 meals (RM18.95 per meal), or RM899 for 50 meals (RM17.98 per meal). There is no expiration date for these meals and you can redeem them anytime. Their chefs and the majority of their kitchen staff are Muslims, so they operate a pork and alcohol free kitchen. Delivery area: Selected areas within Kuala Lumpur, Puchong, Selangor and Putrajaya. Visit their website for details or you can find out if they deliver to your area when you key in your delivery address on their website. Delivery charge: Free delivery and no minimum order required. Berbuka with tiffins! Dish by Ili serves delicious home-cooked meals in tiffin carriers. 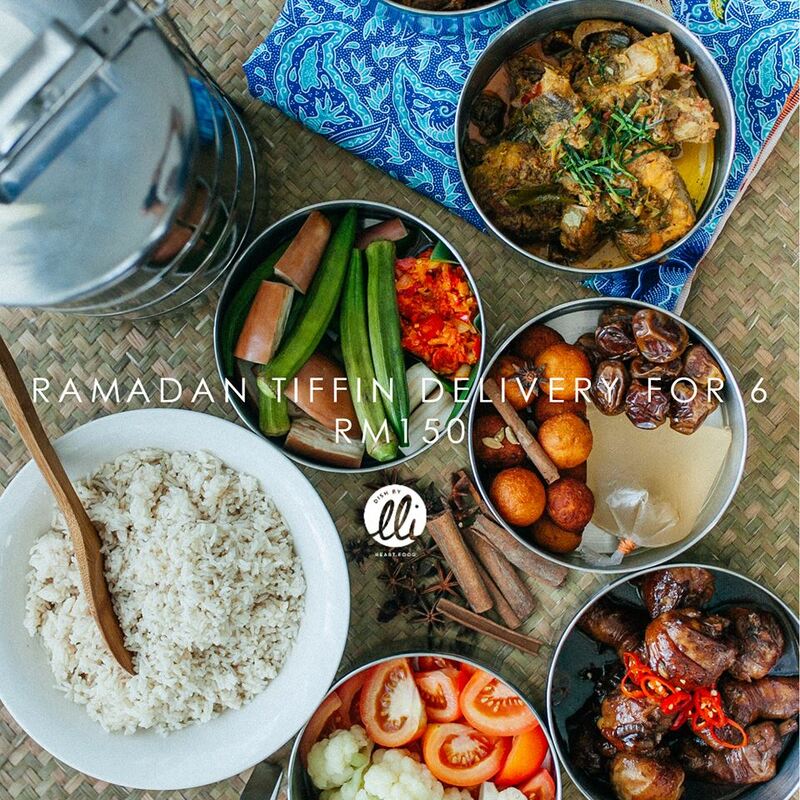 Their Ramadhan Tiffin this year is priced at RM 150 (not including delivery) and it feeds six people. The tiffin includes kurma flown in from Mecca, two main proteins along with two vegetarian side dishes. Their main dishes will rotate bi-weekly but to name a few, you can look forward to include, ayam masak kicap, telur itik masak lemak chili padi, ayam masak merah, and more. If you’re looking for some dessert to go with your meal, you can also order their sparkly brownie tower (RM45 or RM75), limau nipis friands (RM80/ 18 pcs) and mini pulut hitam tartlets (RM70/24pcs). Delivery time: Monday – Friday, 3:00pm to 5:00pm. Delivery charge: Your delivery fee will depend on your order and the area you live in. You’ll be able to view this when you order. Aside from having an adorable name, Mammam lets you order delicious food from their range of individual local cuisines that are not otherwise available through speedy delivery. Similar to most food delivery sites, Mammam is pretty straightforward to use. Simply search their menu you want, be it Malay, Chinese, Indian, Thai, Vegetarian or Malaysian favourites and the site will display a list of the great local dishes that they offer. Choose your dish, enter your address and payment details and wait for your food to be delivered to you. Delivery time: Within 90 – 120 minutes. Available 7 days a week between 9am – 9:30pm. You can also schedule orders up to two days in advance. Delivery area: Selected areas within Klang Valley only. Full list on their website when you order. Delivery charge: No delivery fee and all orders listen on their set are the final prices inclusive of the 6% GST. 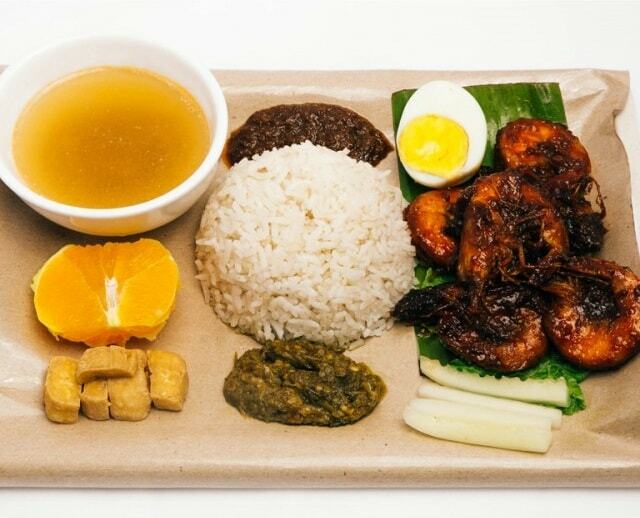 Mutiara Services offers two options for iftar: the Set Bujang (RM8 to RM10) which comes with rice, or the Family Combo (RM19.90) that comes without rice. Their menu changes on a weekly basis so you can check out their Facebook page for weekly updates. You’ll get to pick your main dishes and you can look forward to local favourites like ayam masak lemak, daging goreng kunyit, and ayam goreng berempah to name a few. Delivery time: Monday – Friday, 4pm – 6pm. Cut-off time to accept orders is 12pm. Delivery charge: No delivery fee. Delivery time: Monday – Friday, 4pm – 7pm for dinner. You can pre-order up to 5 days in advance. Delivery area: They currently deliver to various areas in Kuala Lumpur. Check out their website for more information. The service delivers quality food to cities around the country and features dishes include rice, noodles, snacks, toast, and even drinks. If you’re a fan of PappaRich, then rejoice as the food is mostly from the PappaRich menu and kitchen. Delicacies include Nasi Lemak, Hainanese Chicken Rice, Chicken Chop, Curry Laksa, Kway Teow and toast varieties like Naan or Toast with Butter and Kaya. Check out their website for the full menu. The service is Halal-certified and also offers vegetarian options. Delivery time: Within 90 minutes, or less, of your order with their last order being at 8pm. Delivery charge: Delivery fee is RM5. Requires a minimum order of RM15 and they do not charge the Goods and Service Tax (GST).